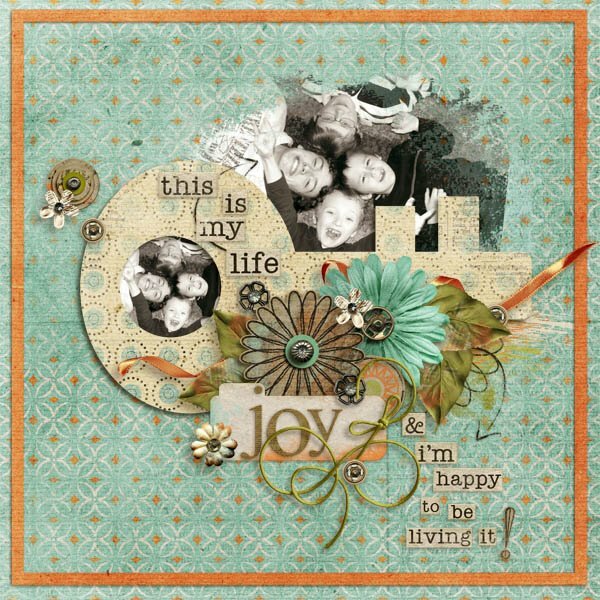 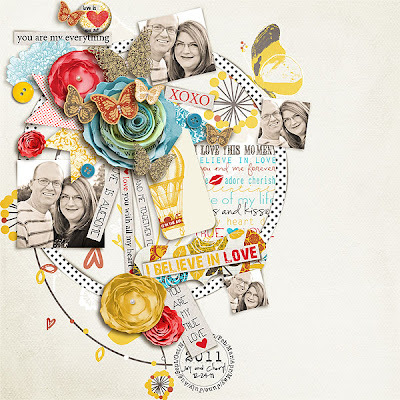 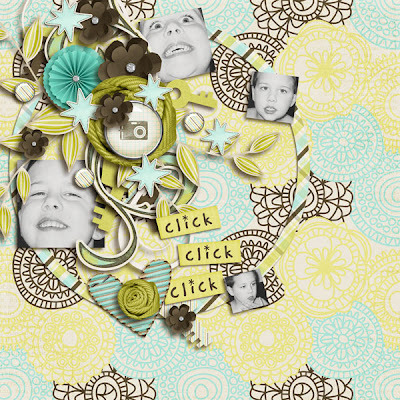 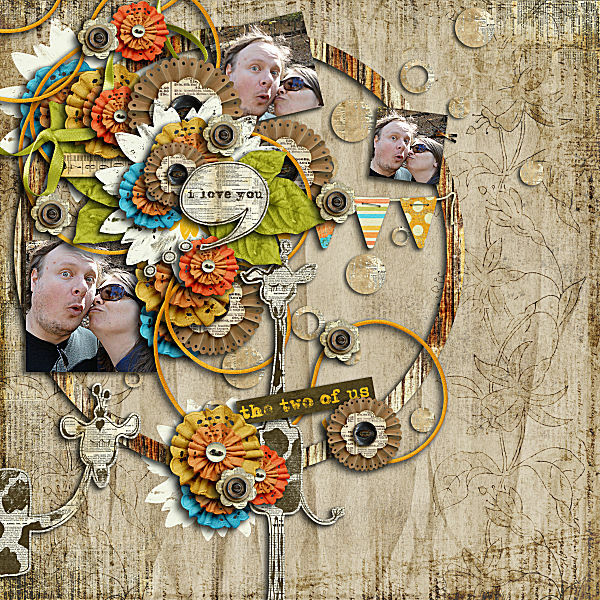 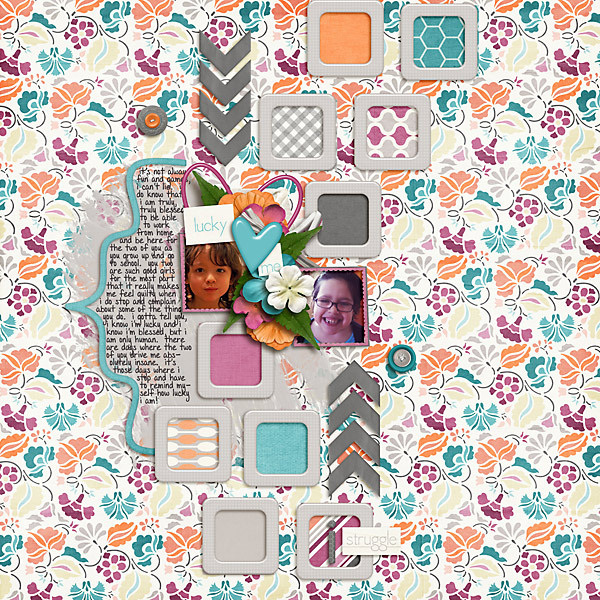 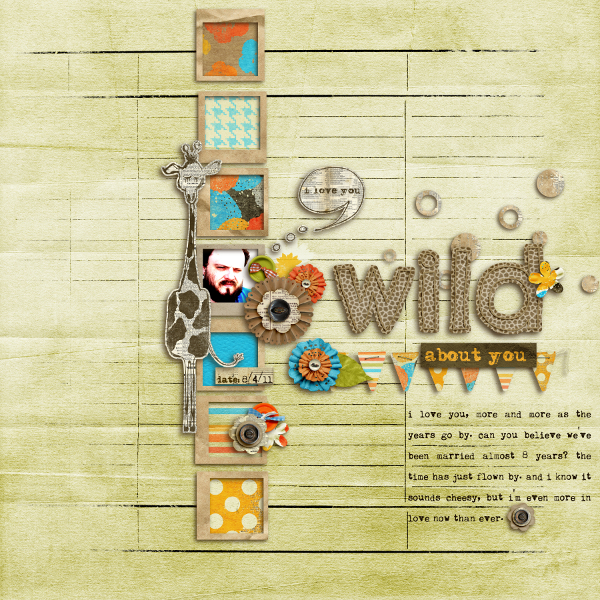 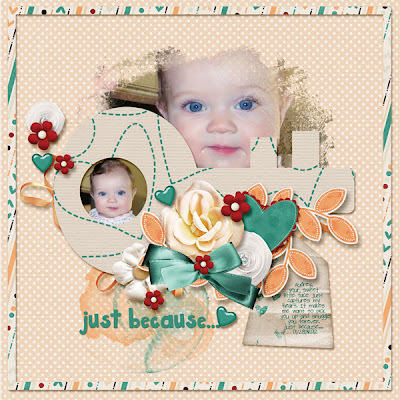 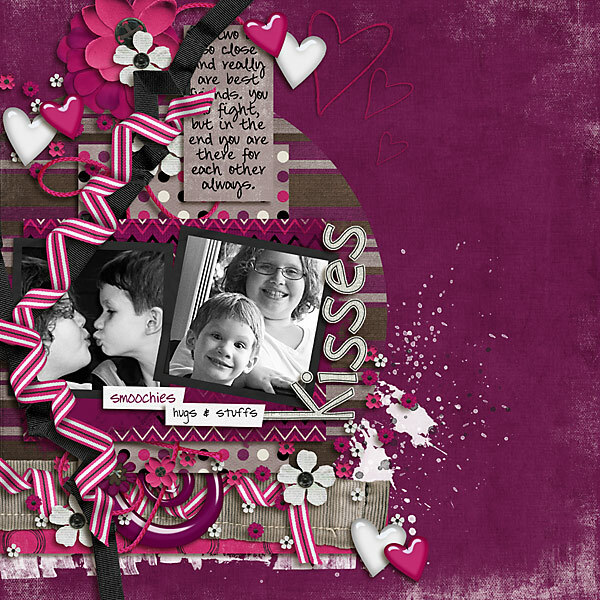 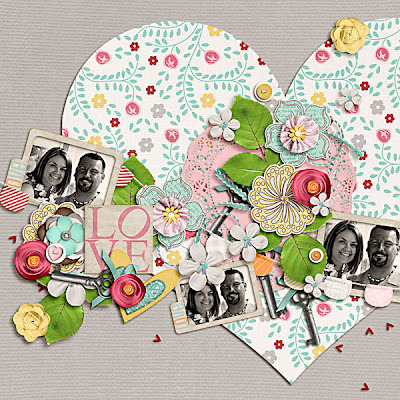 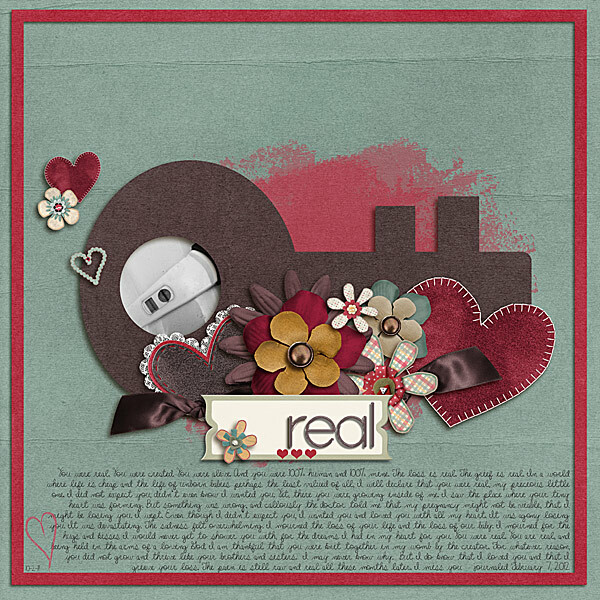 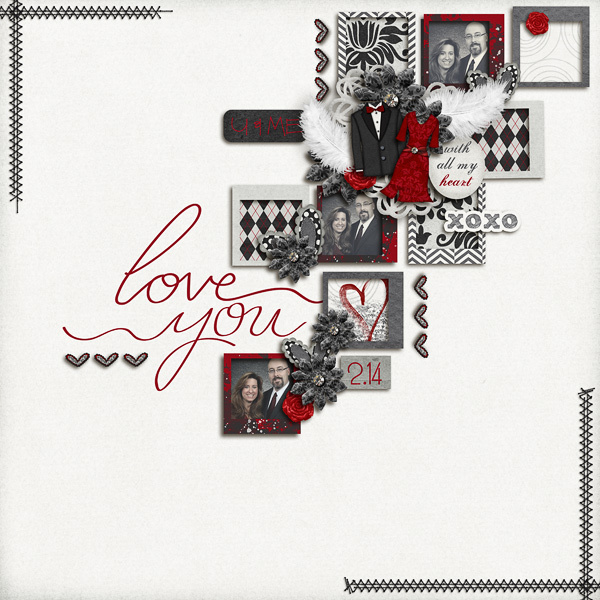 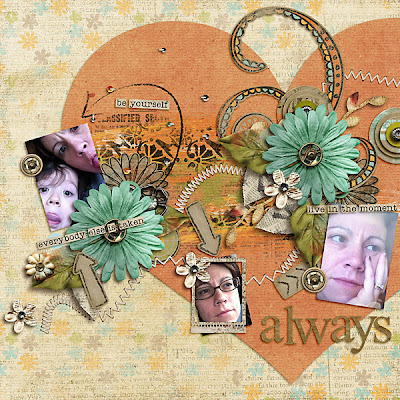 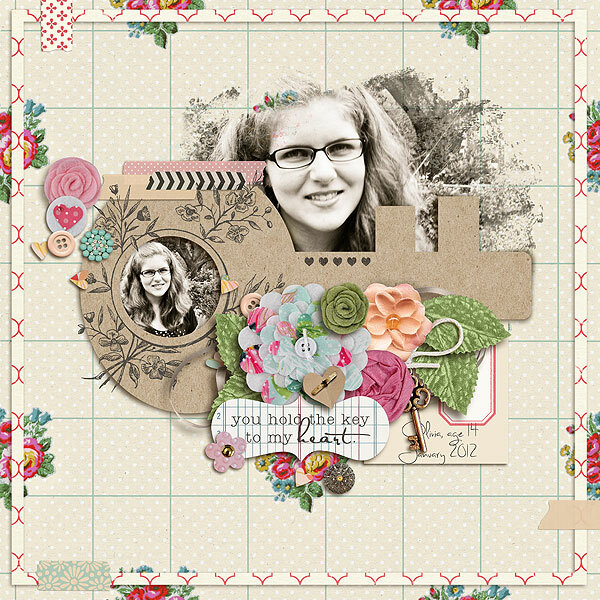 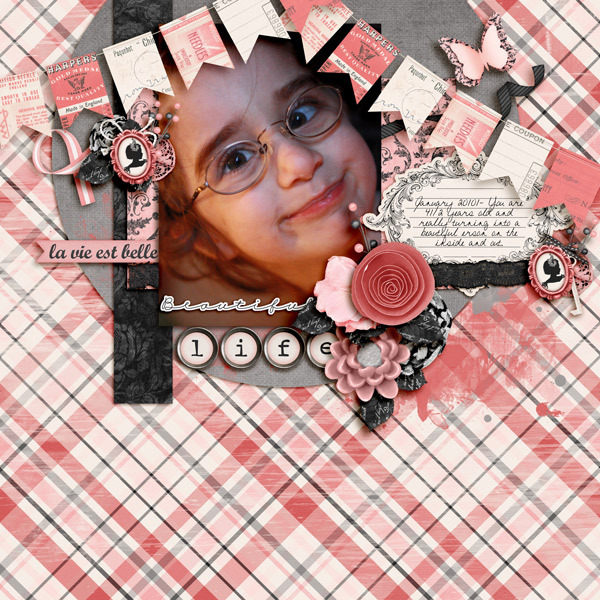 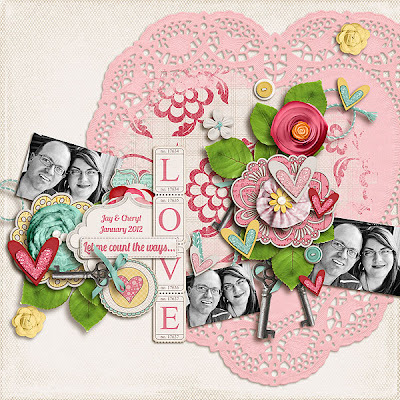 Fuss Free: Key To My Heart is a template pack inspired by my sweet family that definitely are the loves of my life. 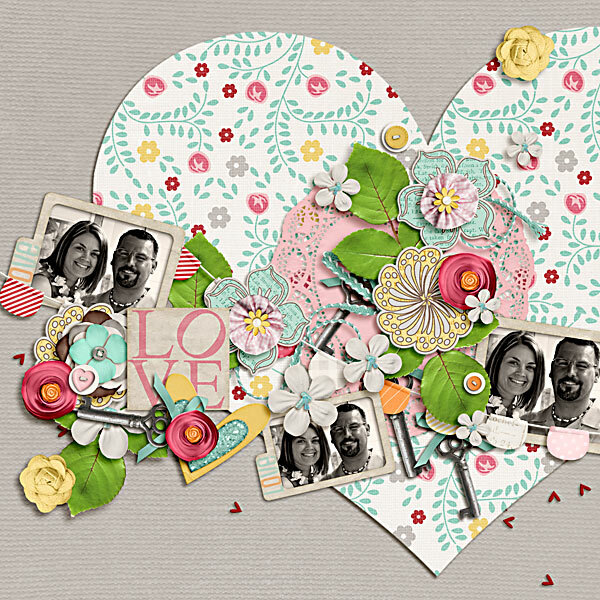 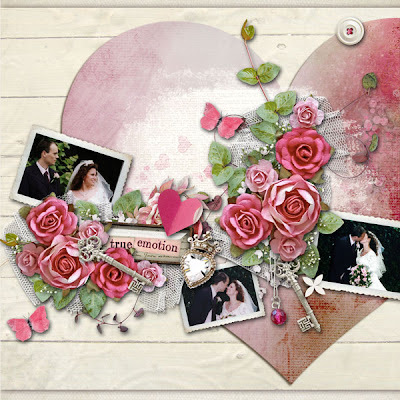 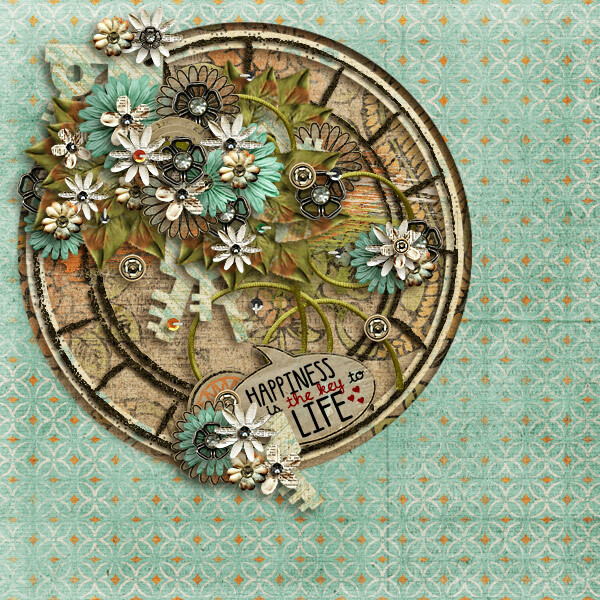 Featuring various key shaped elements, you can use these templates to remember all your loved ones! Shake it like a polaroid picture! 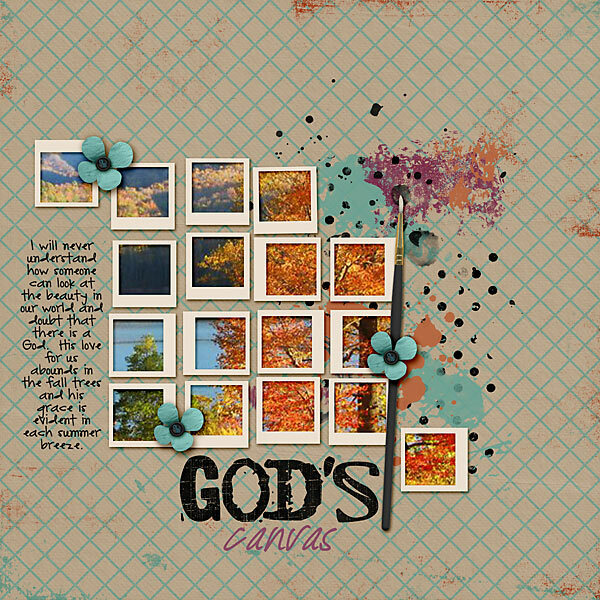 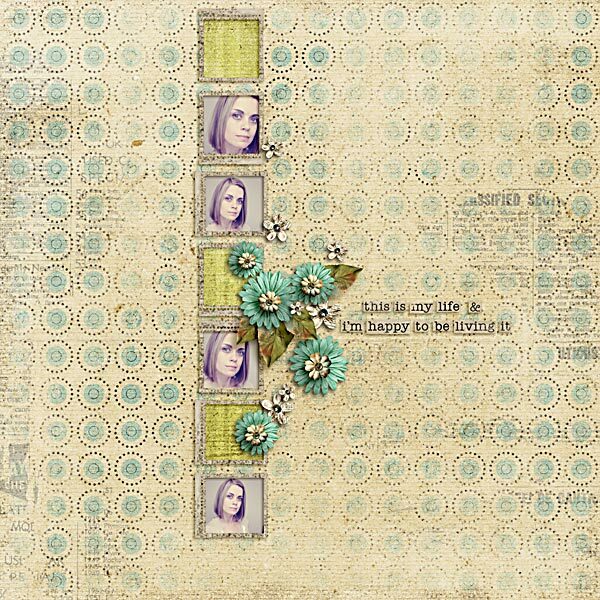 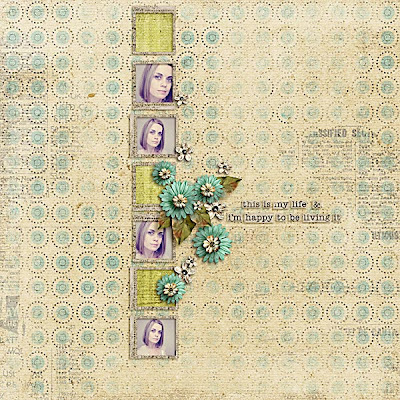 Just like their predecessors in Fuss Free: Shake It, Fuss Free: Shake It 2 and Fuss Free: Shake It 30 Ways, the templates in Fuss Free: Shake It Itty Bitty are made to appear as if instant photos/instagrams have been imperfectly lined up on your layout or work space, everything is just itty bitty ~ so they are perfect for instagrams! 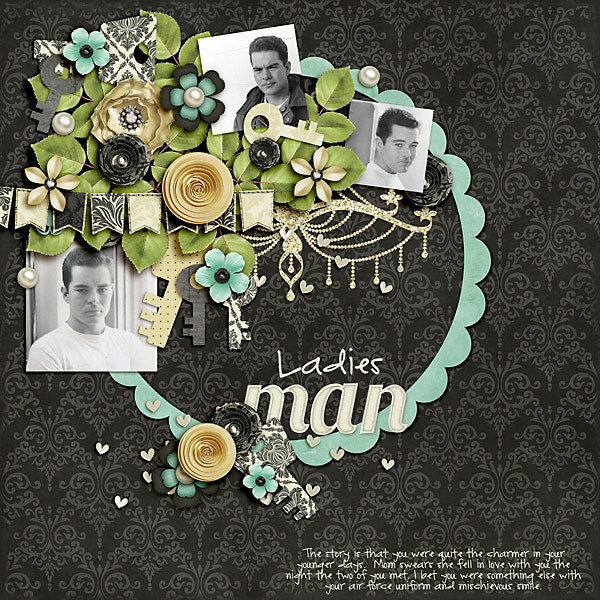 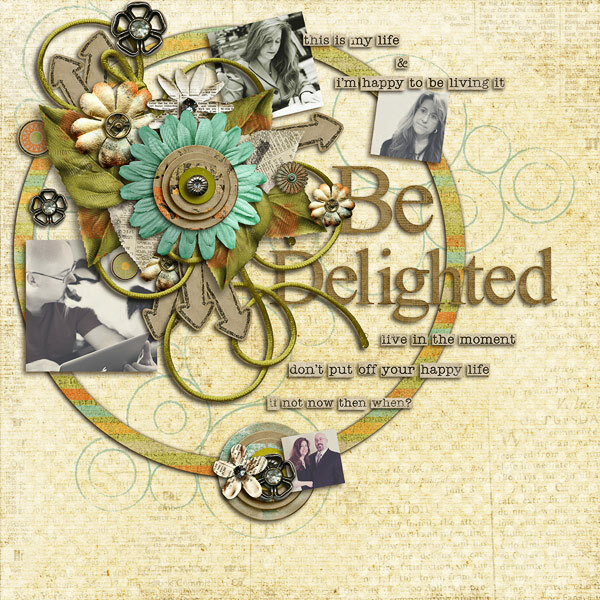 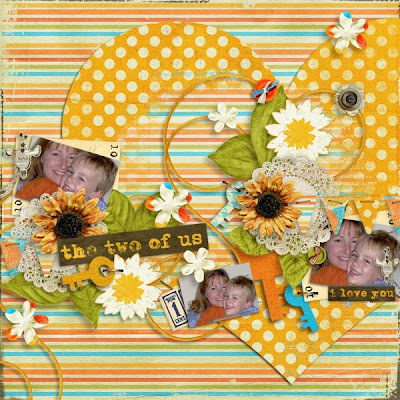 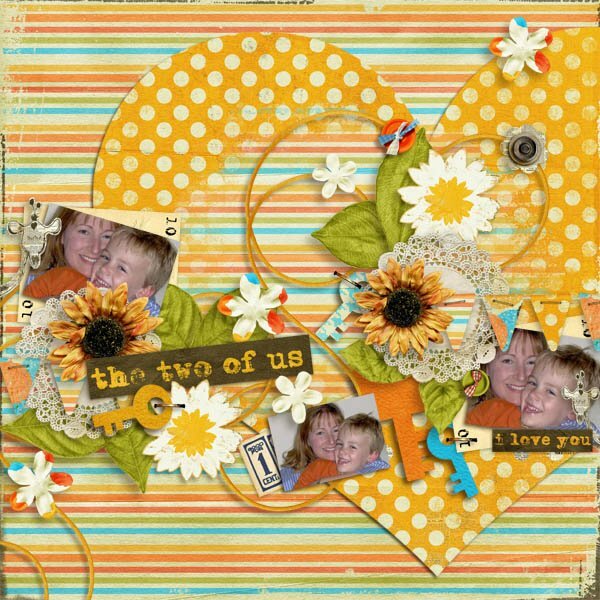 Each of the templates feature spots for both multiple photos and papers. 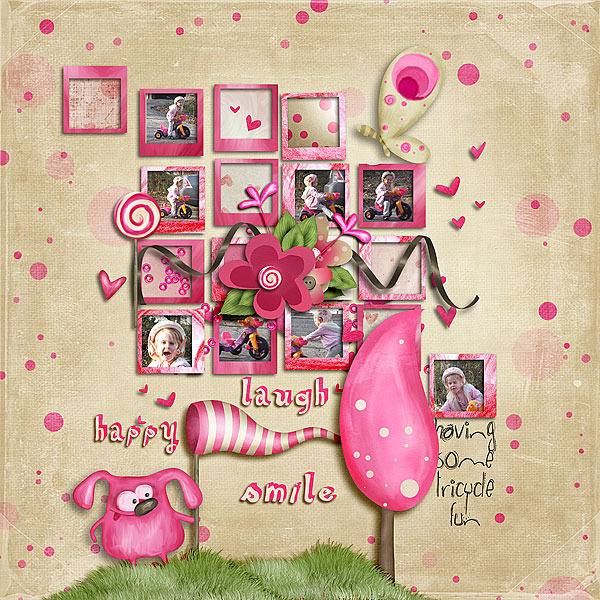 Enjoy 20% off these Fresh Fruit items ~ for a limited time, if you purchase Fuss Free: Key To My Heart, you'll get Fuss Free: Shake It Itty Bitty FREE! Also in the store are the templates that were given away as part of the Scrapper Bowl 2012 festivities. 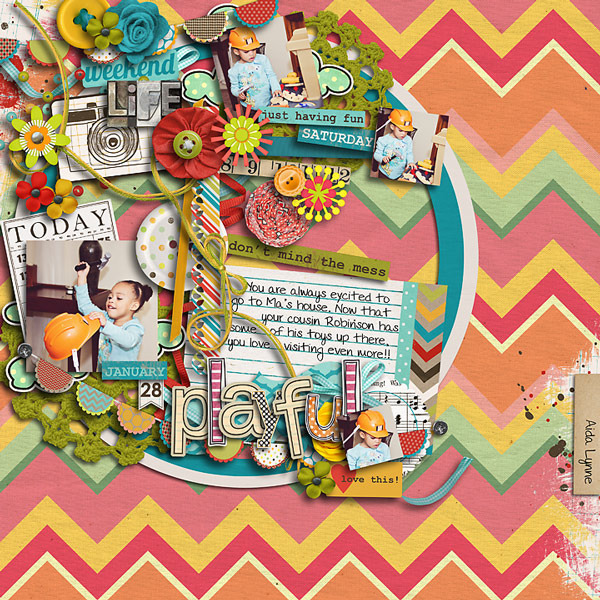 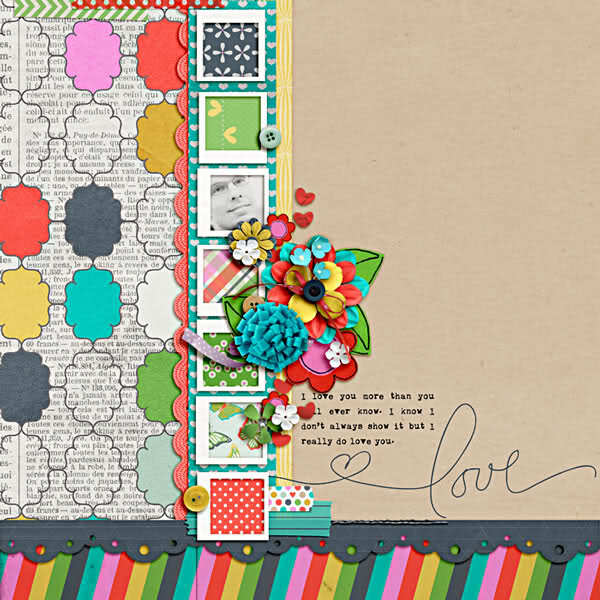 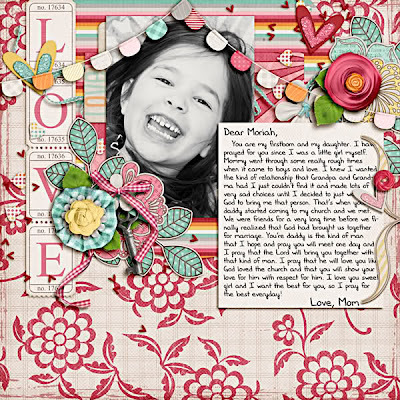 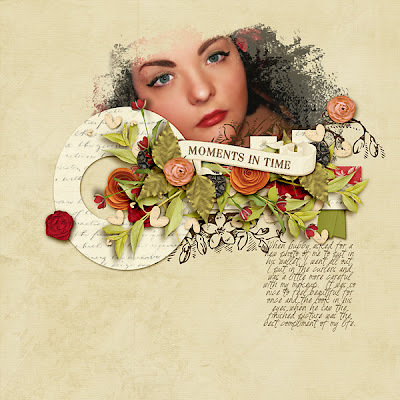 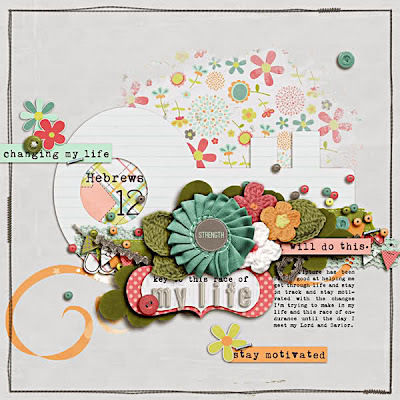 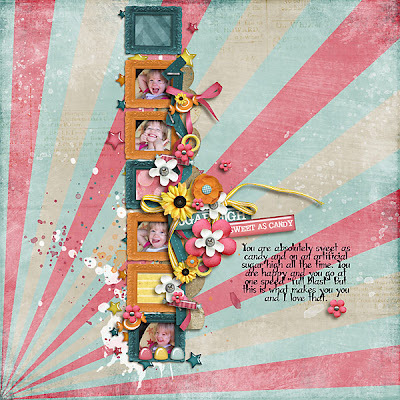 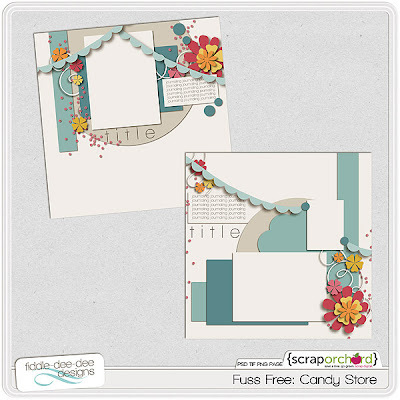 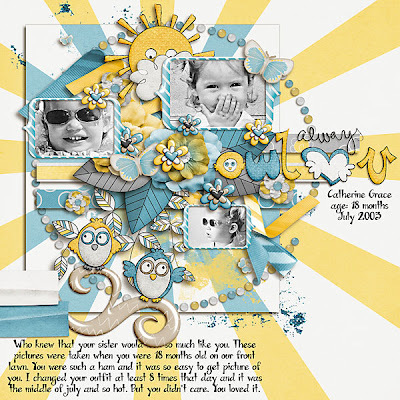 Fuss Free: Candy Store templates are a fabulous way to document those oh-so-sweet moments of life.